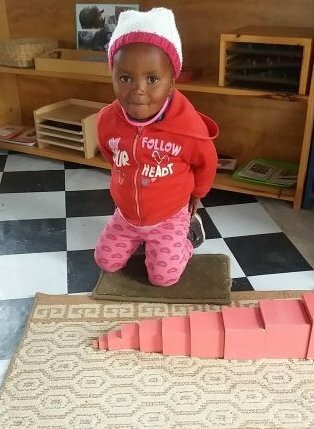 Montessori education is based on Maria Montessori’s discovery that small children of between 2 and 6 years old, learn directly from their environment and relatively little from listening to a teacher talking in class. She discovered that all children, no matter what hardships they have suffered, were capable of achieving great things, when simply given what their development needed. She was able to look at children whose culture and history were radically different from her own and was still be able to understand them. She treated them with respect and they responded by acting with dignity. She showed that children fail, not because they have some innate deficiency, but because adults have failed to give them the right conditions in which to prosper. Maria Montessori developed this child-centred, educational method based on understanding children’s natural learning tendencies. Montessori preschool education works well everywhere, especially in rural areas. The majority of people living in our rural area of the Eastern Cape, South Africa, are living off the government Child Grant. Many people in the community are living below the breadline. The children in the area are materialistically very poor and they do not have any/many toys or TV. 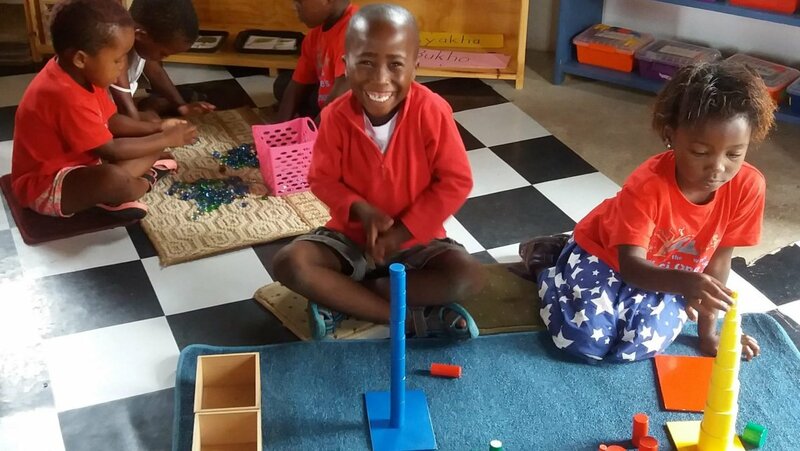 Due to this situation, the Montessori materials at school are very appealing to the children, and they take real ownership of the materials and their environment. A perfect example of this is the smallest cube on the Pink Tower – it never goes missing at our school. I know from past experience working at a school in Cape Town, that the small cube often goes missing and needs to be replaced. A Montessori school is a community and each child and adult have their part to play in the community – very much like rural living. There are many jobs including collecting fire wood, collecting water, cleaning up the yard, washing the school uniforms, collecting the animals, feeding the dogs etc. 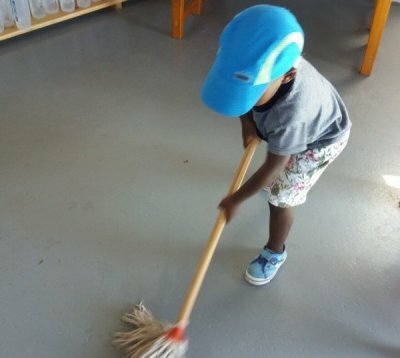 The rural parents are learning that their young children are capable of playing their part and contributing to the community, just as they do at school.